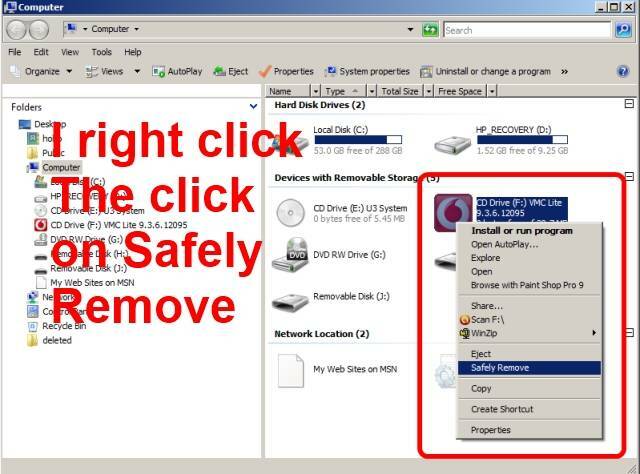 Finding the correct USB to remove can sometimes be difficult, by clicking on computer icon you can find the correct one, then right click to remove. Pulling USB devices out can destroy the data, you need to get permission from the computer to remove a USB device. Sometimes i have three or more UBS devices connected, I click on the Little icon in the tray, and I am not sure which device to remove. I click on computer and I can find the correct one, then right click on it and remove safely.